The Vibro.SiL product series based on high-quality silicone gel shock absorbers with silicone grommet, is a new high-technology impact vibration isolation product series developed by our company’s R & D department. Vibro.SiL silicone gel product series contain anti-vibration products made of high quality silicone, that can be applied in a wide operating temperature range. 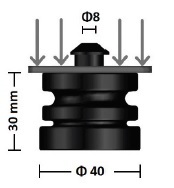 Specifically they are fully operative from -40 to +200°C, providing stable vibration isolation performance. 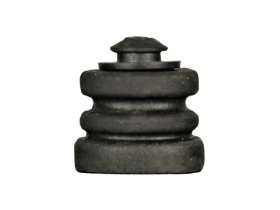 They provide an effective shock and vibration isolation protection in weather condition that natural rubber or other thermoplastics would not be able to perform in extreme temperatures and weather conditions. They are environmentally friendly as they do not contain harmful additives. Silicone pads offer very good weathering properties in regards to ozone and UV resistivity. 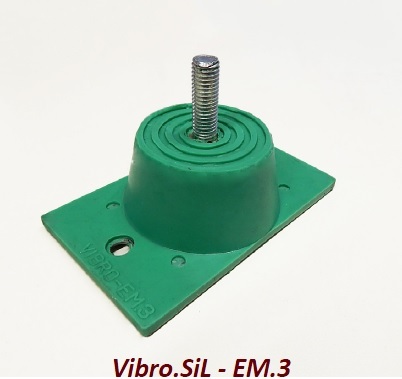 The silicone gel mounts Vibro.SiL-mini can offer vibration protection for compressors, pumps, fans, muffler hanger, on-board computers and other sensitive electronic equipment, in avionic, military and medical applications where a wide temperature range (-40 to +200°C) occurs. • The silicone gel mounts Vibro.SiL-mini due to silicone provides an effective shock and vibration isolation protection, much more than natural rubber and thermoplastic compounds that would lose their deflection in extreme temperatures and weather conditions. • It can achieve a large deflection capacity and a low resonance point even in extreme . It is an ideal selection for mid and low frequency excitation. • It offers very good weathering properties, ozone, UV resistant, ideal for out-door use. • Natural Frequency: ≥ 8 Hz. 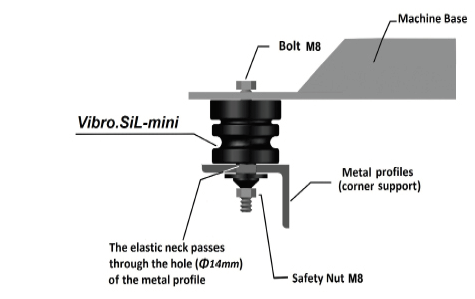 The unique design of VIBRO.Sil-mini product offers the following advantages which make it more competitive than natural rubber vibration isolators. Antivibration solution for light weight machinery. 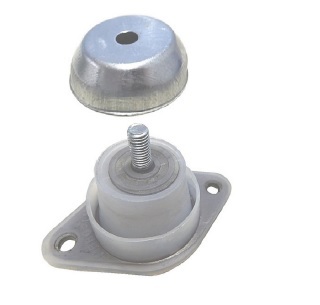 Can be used for antivibration mounting or hanging of ceilings or HVAC equipment.